Richard welcomes Alan Nevin to discuss economic forcasts, job growth, changes in job demographics. Alan Nevin is the Director of Economic and Market Research at Xpera Group. He has an extensive background in real estate economics, lending, and market analysis. In the past 20 years, he has performed over 1,000 market strategy studies across the United States, which has given him remarkable insight into the underlying trends and how they impact local and state economies. 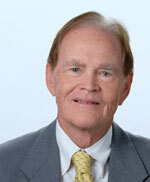 Mr. Nevin has an extensive background in real estate economics, lending, and market analysis. He serves the development, investment, legal and public agency communities with residential and commercial real estate valuation, feasibility and real estate advisory services. Alan also provides forensic economics services for construction and real estate litigation. In the past, Mr. Nevin has served as Chief Economist for the California Building Industry Association and has taught for 30+ years at UCSD Extension and is a co-founder of the UCSD Economics Roundtable. 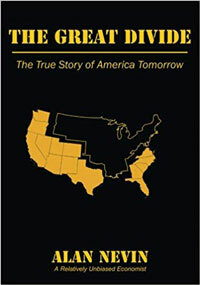 In 2016, Mr. Nevin published his landmark book, The Great Divide: The True Story of America Tomorrow, a compelling story of your future and your children’s future as divined through a myriad of research data. It is a book about trends, past, and future that blends demography, economics, and, to some degree, real estate. The Great Divide looks into the demographic patterns in the industrialized world and compares them to the United States. The industrialized world is aging, and that has an enormous effect on the future of the global economy.